I included "climb trees" on my fall bucket list because you can never climb too many trees. Our autumn weather is wonderful for being outdoors and climbing a tree is an amazing way to spend an afternoon. 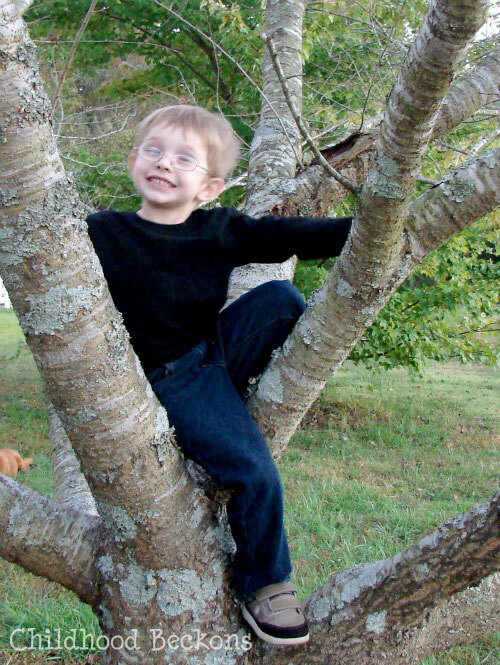 This week R practiced in a tree at his Nana's house. When he first started climbing trees he needed a lot of help, but this time he did it all by himself. He can now get into the tree by himself. He can navigate the branches. He knows where to place his hands as he moves from branch to branch. He practices judging which branches will hold his weight. He is learning which branches are not yet strong enough. And he is having loads of fun doing it. I consider time spent outdoors to be critical during childhood. We don't always spend enough time outside, but I'm going to constantly strive for better because I know it's importance. I was watching R climb and I was struck by how fantastic it really is. R is learning a lot through play. 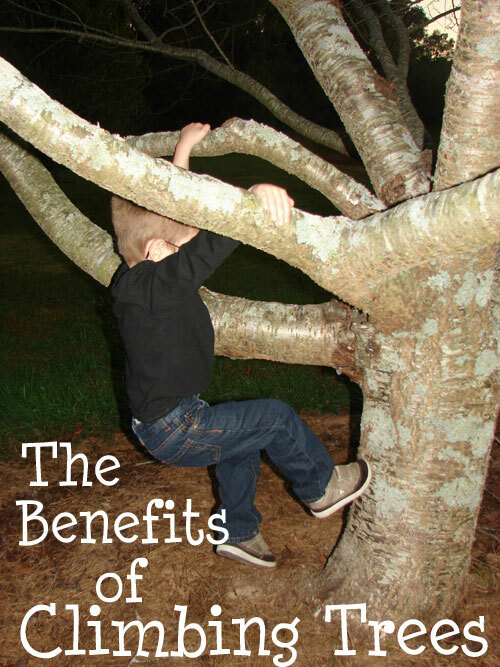 Here are a few of the benefits of climbing a tree. It promotes an increase of self-confidence. As he masters something new and challenging he gains confidence in himself. He is proud of himself. Climbing is excellent for gross motor development. It's great exercise. It builds strength. It improves balance and coordination. 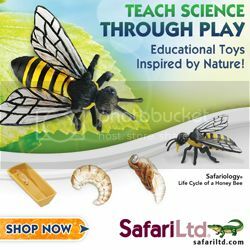 It is fantastic for building critical thinking skills. I helped him, when he was younger, figure out where to put his hands and feet. We talked about why some branches might not be safe. Now he's doing it on his own. Every tree is different and he has to figure it out each time he climbs. It helps with resilience. R is less likely to stop and cry about a minor injury when he's enjoying something and thinks I might make him stop his cherished activity. It's teaching him to get up and brush himself off, so to speak. Although, at this point he hasn't fallen from a tree and the minor injuries are just scrapes and scratches. It delivers happiness. The happiness is evident by the smiles and giggles. It's fun! Do your children climb trees? 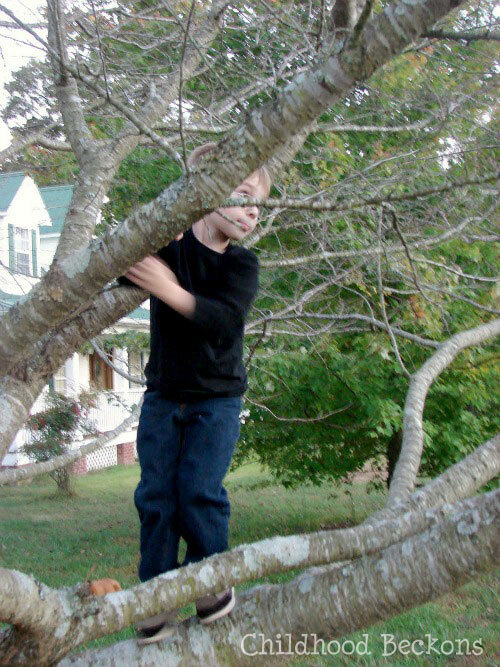 Do you have fond memories of climbing trees as a child? Birdy LOVES to climb trees, she would live in them if she could. I once found her hanging upside down in a tree. I asked her what she was doing and she said to me, "I'm a three toed sloth, and I'm staying very still" So funny! Great post! I love climbing trees! Just yesterday when I picked up my kids from a neighbors house they were climbing a small tree and refused to go home. We need a climbing tree in our yard so bad. Hopefully soon the trees we have planted will be strong enough to hold a kid! We did that today! One of the trails we hike has some great climbing trees. My son and the other kids in our group were all over them. One of the other boys took quite a spill out of the tree but after a few minuets of love and a sippy cup, he was right back in the tree. I think climbing trees is an important milestone in childhood growth. Thanks for sharing on It's Playtime. Thank you all for taking the time to leave such wonderful comments! Kristen, that's so cute! R hangs upside down and insists he's an acrobat. Hehe. Brooke, hopefully they'll soon be the best climbing trees ever! We've found a few good ones at the park.. and haven't got into any trouble for climbing them thus far. Haha. Thanks for stopping by, Messy Kids. I'm so glad he was okay. And see, resilience! Climbing trees is just too fun to stay away. Thanks so much for reading and commenting The Mommies Made Me Do It. I have fond memories of climbing trees as well. I bet you were so proud! You're awesome! I love seeing the benefits of such an awesome activity. I love gross motor activities -- wonderful! 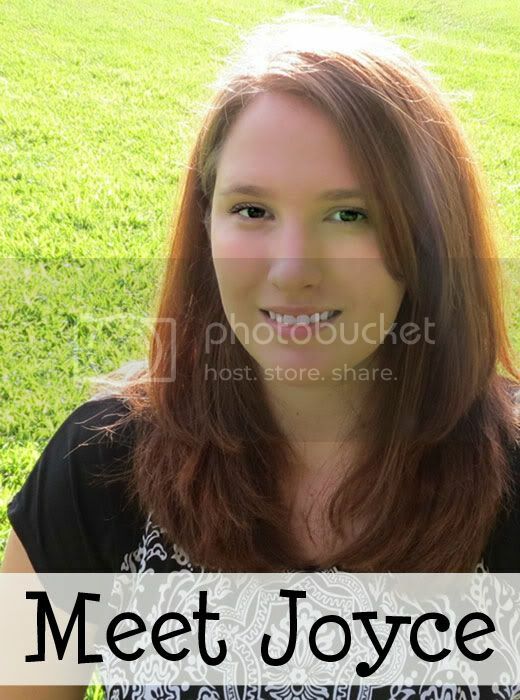 I'd LOVE to invite you to a network of other kid bloggers found on Facebook: http://www.facebook.com/groups/kidbloggers/ -- please request to join! There's so much sharing and help between us all! I'm so happy you stopped by and liked my post, Jamie! And you are really too sweet. Thank you for such kind words and for inviting me to your group. I'm really looking forward to joining. I'm thinking maybe I should create a Facebook account for my blog. What do you think? I'm go glad you happened upon my blog, Marilyn. And I'm glad my post served as a bit of nostalgia. That's always fun! Thank you for the follow and the invite to take part in your project! I'll definitely check it out. Thanks for hosting such a wonderful linky, Mama Pea Pod. I'm so glad it's back! You'll surely see me again next week. I hope you let me know how the tree climbing goes! That's so great, Aimee!! I bet they did love seeing you climb a tree. That makes me smile just thinking about it. How sweet. Thank you for letting me share! Looks like a great tree for climbing. Tree climbing is part of childhood but the right sort of tree is needed with a few branches fairly near the ground-perhaps another post? Great post! Kids should get outside more, and ABSOLUTELY should be climbing trees!